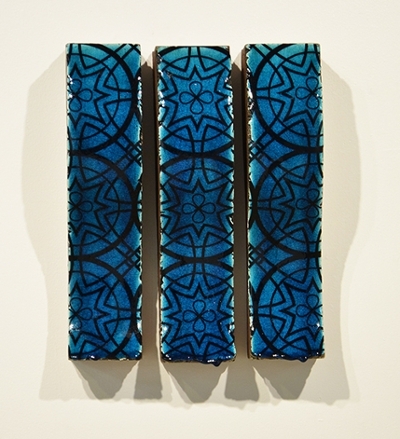 Two Southern Illinois University Edwardsville faculty, a graduate student and five alumni are among the artists whose work will be featured in the exhibit “Louis’s Legacy: Artists Respond to Louis Sullivan” running February 10-March 17 at the Edwardsville Arts Center. An opening reception will be held from 6-8 p.m. Friday, Feb. 10. The exhibit is curated by Brigham Dimick, MFA, professor in the SIUE Department of Art & Design, and sponsored by The University Museum at SIUE. Participating artists include Dimick, Thad Duhigg, MFA, professor in the Department of Art & Design, Katie Lochhead, an SIUE graduate student pursuing a master’s of fine arts, SIUE alumni Dan Barnett, MFA ’97, Mike Gesiakowski, MFA ’15, Regan Melton, MFA ’16, Mike Mason (posthumous), BA ’73, MFA ’87, and John Celuch, MFA ’76, along with local artists Albert Kuo and Chris Day. “The exhibit will juxtapose Sullivan architectural ornaments from the SIUE University Museum’s Louis H. Sullivan Architectural Ornament Collection with regional artists who use the form of Sullivan’s work and biography of his life as a platform for their own creative projects,” said Erin Vigneau-Dimick, collections manager of The University Museum and lecturer in the Department of Art & Design. According to Vigneau-Dimick, the collection comprises hundreds of objects salvaged from more than 30 buildings designed by Louis Sullivan. SIUE began the collection with the 1965 acquisition of hundreds of pieces from architectural photographer and historic preservationist Richard Nickel. In conjunction with the all-day conference “Louis Sullivan Architectural Ornaments at SIUE,” Dimick will offer a curator presentation at 12:15 p.m. Friday, Feb. 24 at the Edwardsville Arts Center. All are welcome. For more information, see the events page on EdwardsvilleArtsCenter.com, or visit the University Museum on Facebook, Twitter or Instagram. 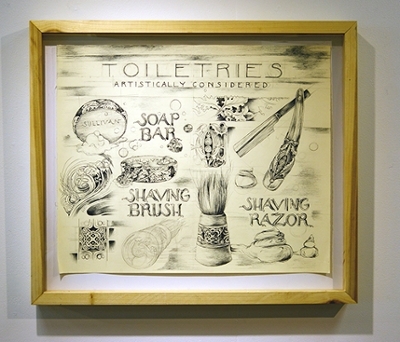 Photos: SIUE graduate student Katie Lochhead’s piece entitled “Louis Sullivan’s Plans for Toiletries, Artistically Considered (Discovered Posthumously)” will be on display during the exhibit.